Finding the proper shoe for a patient who is diabetic is vital and essential in preventing lower extremity complications. Diabetes effects every organ system. Besides changes in gait and our bodies response to physiologic clues the texture of the skin changes. 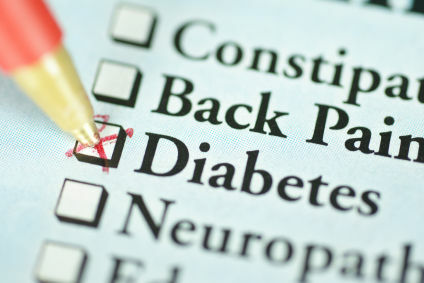 All these changes, when combined, puts diabetic patients at increased risk for ulcerations. These ulcerations not only decrease one's quality of life but also can lead to infections and amputations. The one most important factor in prevention and healing of ulcerations is relieving areas of increased pressure. Therefore diabetic shoes and inserts are an essential component in preventing diabetes related complications. Because we know how important the prevention of complications is we make sure to measure, adjust, and mold shoes and inserts to each patient. If you are diabetic, remember that above all PREVENTION of complications is the key to healthy feet.